When these homeowners in Providence in Macon GA called us, they had a couple very specific objectives. They had a carport that they were forcing to double as a home for both their cars and their porch chairs. They wanted a permanent spot for their porch chairs and to dedicate their carport exclusively to their cars. Their second objective was to utilize a hexagon-shaped patio cover they had purchased. They knew they wanted a deck and they also knew they did not want to do any regular maintenance such as sanding, power washing or staining. We built a two-section Fiberon ProTect composite deck for their backyard. 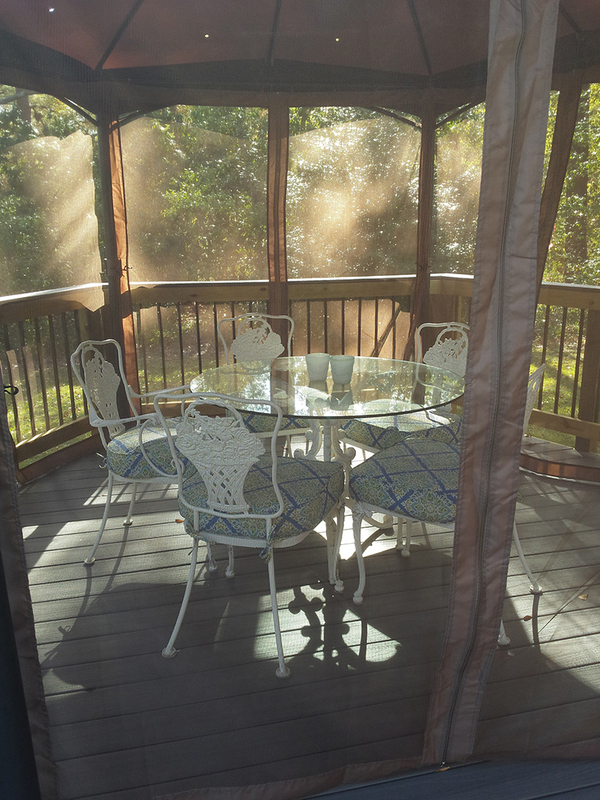 The deck encompassed a hexagonal section to house the patio cover. It also included a rectangular section for the times they wanted to relax on their deck unencumbered from a cover. 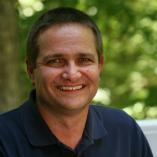 Here in Central GA, we have beautiful and long spring and fall seasons but our summers can become very hot. Many of our customers want a combination space that has both a covered area and an uncovered are. Above, you can see how their pre-purchased patio cover fits seamlessly with the new hexagonal shaped section of their deck. The family purchased mosquito netting to make sure their indoor/outdoor space includes protection not only from the sun, but also from unwanted guests. The deck railing include narrow-profile dark railings which accomplish two objectives. First, they are very aesthetically pleasing and have a great upscale look. Secondly, the narrow profile and dark color naturally draws your eye through the railing and out onto the yard. Whether they are under cover or on the open section, their outdoor living experience is very integrated with their yard. 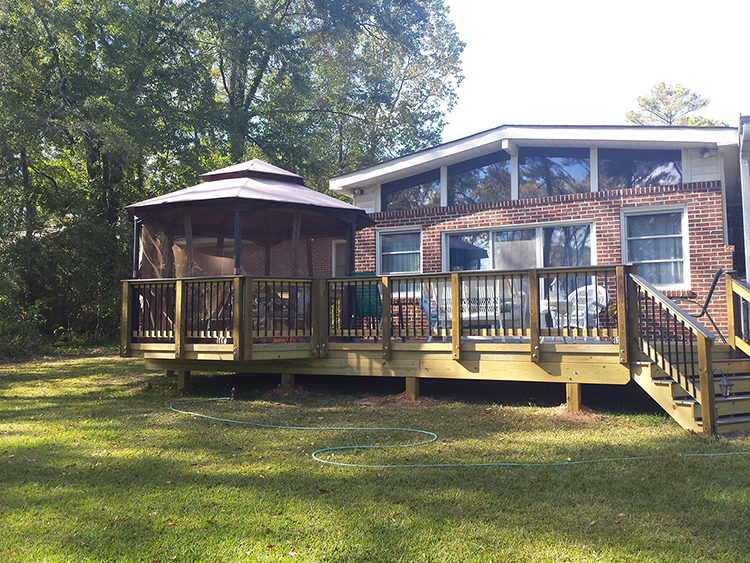 Above you can see the hexagonal section of the deck and how well the custom deck and free standing cover work together. 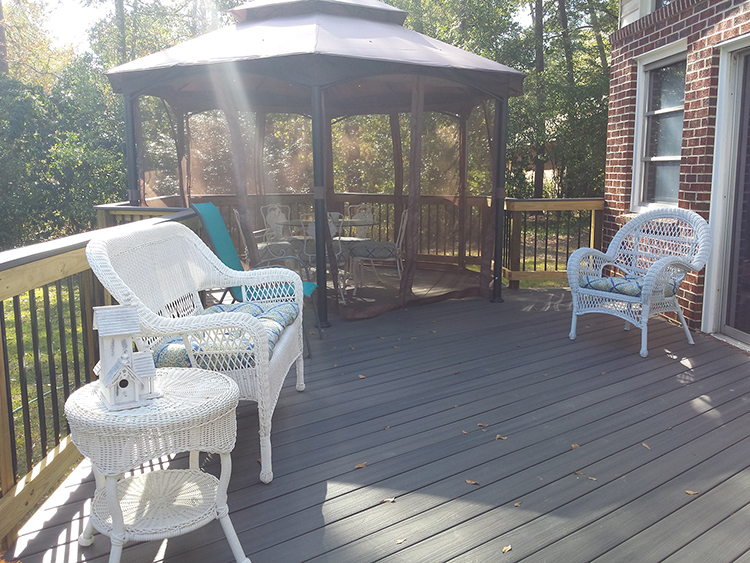 The synthetic Fiberon decking is as durable as it is attractive. To ensure bug protection, we put a screen below the deck boards to keep any crawling bugs at bay. If you’re considering adding a new custom outdoor living space to your Central GA home, contact us for a free consultation. Call 478-745-2000, email us or fill out the form on this page and we will quickly get in touch with you.